What does “minimum stay” mean? What is the minimum stay requested? What do “check-in” and “check-out” mean? What should I do if, after entering the research parameters on the website, the message “In the required period you can reserve this accommodation only from SATURDAY to SATURDAY/SUNDAY to SUNDAY” or “The minimum stay in this period is 2 nights” appears? Which payment methods do you accept for the payment of the balance upon my arrival? If I decide to cancel my reservation, do I have a right to ask for my deposit to be refund? What about if, after booking an accommodation, I should fail to show up at the check-in? Will I be requested to pay a security deposit upon my arrival? When can I check into my apartment? What time do I have to check out and return the keys? What happens if I damage or break something in my apartment? Is it possible to park my car? Does the price always include utilities such as water, gas, electricity and internet? Will I find bed linen and towels in the accommodation? Is the property equipped with everything necessary for cooking? Will there be someone to give me all the information I may need? Which airports are connected to the province of Ragusa? Do I need a car for my holiday in the province of Ragusa? Which are the most important tourist places? You can check the availability of our accommodations on the Home Page of our website www.casevacanzepomelia.it: enter the dates of your stay, the number of people and the type of accommodation. Then click on “Flats Search” and you will visualize a page with all available accommodations. You can also use the “Advanced Search” to filter the results on the basis of the selected characteristics. For more information, fill free to contact our booking office, by sending a request to info@casevacanzepomelia.it, by calling our office +39 0932 1855503 or our mobile +39 329 5959548. “Minimum stay” is the minimum length of stay that we require. The minimum stay varies on the basis of the type of accommodation and the period. The bookings are weekly but in low and medium season it is possible to book for 2/3 days. We do not accept bookings for 1 day only. The “check-in” is when you arrive at the accommodation, while the “check-out” is when you leave. If you see one of these messages after entering the research parameters and clicking on “BOOK NOW” for your chosen accommodation, you should then change the dates on the research panel, because those inserted do not match our minimum stay criteria. To know how to make a reservation click on Booking Terms and Conditions. The deposit can be paid by BACs Payment/bank transfer (account details will be sent at time of booking) or by online payment with your credit card through Paypal.com. Upon arrival and after seeing the property you will be asked to sign the terms and conditions and state that you are fully satisfied with the property. The final balance is due at this stage. Upon your arrival and after checking the conditions of the accommodation, you can pay the balance in cash, by cash card or by credit card. Cheques are not accepted. We accept all main credit cards available. You can withdraw from the contract up to 30 days before the expected arrival date, by a written communication that you have to send us within the above-mentioned term. In this case, we will refund you the deposit amount, within seven working days from the withdrawal’s communication. If you communicate the withdrawal later than the above-mentioned term, we will retain the 30% of the total amount of the reservation, which you have already paid as deposit of the reservation. If you should fail to show up at the check-in without any previous communication of withdrawal, we will retain the total deposit received, but you will be asked to pay the balance (according to the agreed price) within seven working days from the agreed arrival date. Upon your arrival after the check-in, you will be asked to provide the data of your valid credit card as a guarantee of the conditions of the accommodation. If you do not have a credit card, you will be asked to pay a security deposit in the sum of € 200. The deposit is refunded on check-out, after the condition of the property has been fully checked. Check-in is usually from 15.00 p.m. and check-out by 11.00 a.m., unless otherwise specified on your booking voucher. So we kindly ask you to verify the check-in and check-out time of your accommodation on the booking voucher that you will receive once the booking is confirmed. Moreover, the check-in after 22.00 p.m. entails an extra charge of 30 euros that will be added to the cost of your reservation. Since we do not have a reception, you are kindly asked to communicate your arrival time in advance, in order to arrange an appointment for the delivery of the keys of the accommodation. Upon your arrival we will arrange on the return of the keys at the end of your stay. Our friendly staff is at your disposal to make your stay comfortable: if you have a problem with your accommodation we will endeavour to solve it as soon as possible. We guarantee a full assistance and a prompt intervention compatible with the working hours of the technicians required. You are kindly asked to contact our staff during working hours to communicate a problem so that we can make the necessary arrangements for it to be fixed straight away. You can reach us by sending an email to info@casevacanzepomelia.it or calling our office +39 0932 1855503 or our customer assistance number +39 329 6272393. Our staff is also available to help and advise you on any other information you may need. In this case you must inform a member of our staff. The necessary amount to repair the damage will be charged to you. If we should find damages in the accommodation after your departure, we will inform you within three days from your check-out and the necessary amount will be held from your credit card. It is necessary to make a specific request during booking procedures, because the presence of pets is not permitted in all accommodations. Where pets are welcome, a surcharge on the price list will be applied. To verify the presence of a parking space, check the description page of your chosen accommodation on our website: look at the section “Features” on the left side of the page and check the entry “Parking space” showing the number of spaces available. No, there is no breakfast service included. In your accommodation you will find some cooking necessities to prepare your breakfast. Yes, rates include these utilities unless otherwise specified. Yes, we provide bed linen, towels and bath mat (included in the price) in sufficient quantity for your stay. Yes, each property is fitted with hob, kitchen equipment, cutlery and has the necessary crockery. During the check-in our staff is at your disposal to give you any information you may need about the area (restaurants, bars, pubs, shops, touristic places, etc.). During your stay our staff is always available to help you with any information you may require. You can reach us by sending an email to info@casevacanzepomelia.it, calling our office +39 0932 1855503 or our customer assistance number +39 329 6272393. See the page Sicily Airports on our website to find more information about flights and connections. The province of Ragusa is not well connected by public transport, so we advise you to have always a vehicle on your own. Some of our accommodations are in the city centre, so you can move on foot. On the contrary, other accommodations are isolated, so you need the car to move. Please, check this information in the description page of your accommodation: look at the section “Features” on the left side of the page and check the entry “Car” showing whether the car is “Needed” or “Not needed”. We cooperate with some car rental companies and organize transfers on request, so you can contact us if you need. However, we strongly advise you to hire your car at the airport where you land, in order to move easily. In Ragusa there are not many car rental companies. We are in southeastern Sicily in the province of Ragusa, part of the Val di Noto. The Val di Noto is the heart of Baroque declared world heritage site by Unesco. We are in a perfect location for visiting many beautiful towns. From Marina di Ragusa it is very easy to visit Ragusa Ibla (25 Km), Scicli (12 km), (30 km), Noto (70 km) and all the settings used in "Inspector Montalbano" (a television series based on Andrea Camilleri’s novels). 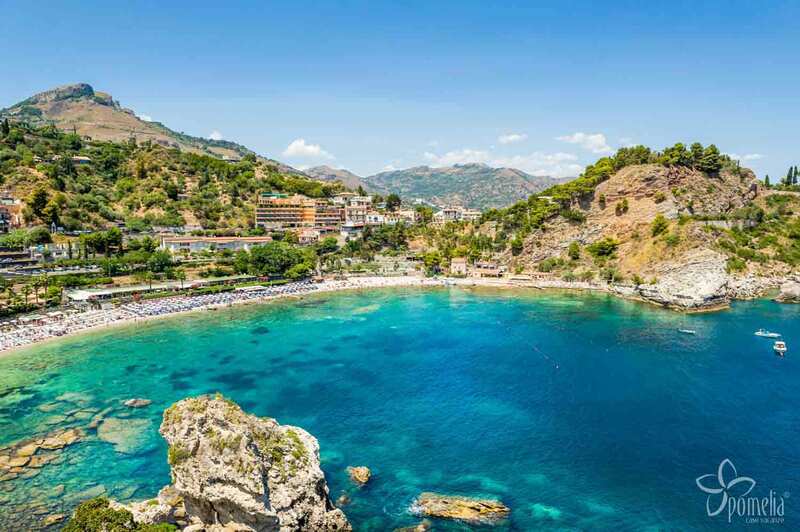 The Mount Etna (135 km), the impressive Valle dei Templi in Agrigento (139 km), the beautiful Siracusa (106 km) and the picturesque Taormina (182 Km) with its famous Greek theatre are also easily reachable and they are perfect locations for a day trip out. The port of Pozzallo (32 km) is also very close and you can take a boat to Malta from there. 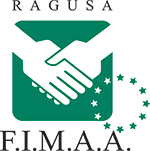 For more information, see the page The province of Ragusa.